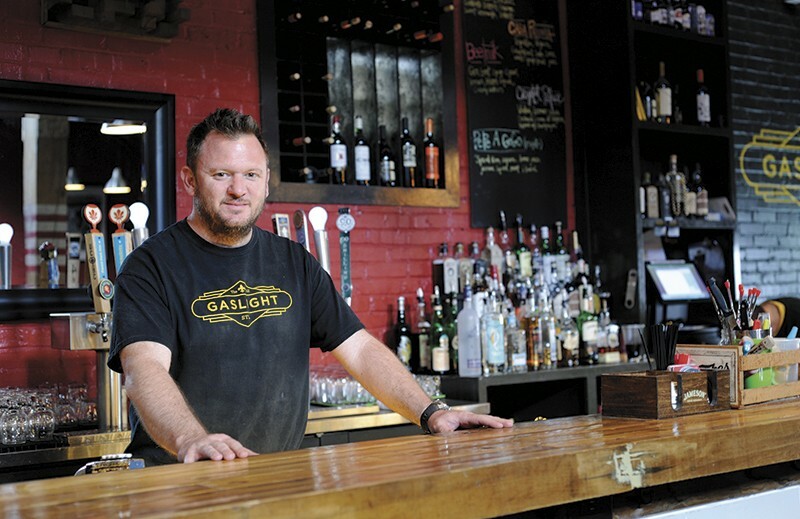 When JB Anderson wanted to brand his new venture — a combination bar, restaurant and recording studio — he chose the name Gaslight, a word with both new and old implications. The name harkens back to Gaslight Square, once the hub of nightlife and entertainment in the city's West End neighborhood. But in our modern, post-truth political climate, to "gaslight" means to manipulate someone until they question their own sanity. One might be tempted to question Anderson's sanity, considering the scope of his venture. His location, on the northeastern entrance to the Hill (at Kingshighway and Shaw), sits at the foot of the long-under-construction Kingshighway Bridge, a project that has created traffic snarls and impeded the flow of patrons into this popular enclave. Aside from a potentially risky location, Anderson's gambit sought to combine two seemingly contrary spaces: the casual bonhomie of lounge and the private, creative space of a recording studio — separated by only a glass wall. But as the venue celebrates its first anniversary this spring, Anderson is ready to launch his next project: a record label under the Gaslight Studio aegis. And rather than starting small, the label will release five new albums — all recorded at Gaslight — on the same day. The initial roster comprises Miss Molly Simms, the Cara Louise Band, 4th City, Culprit Manifest and Brother Lee & the Leather Jackals. 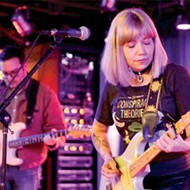 All will perform at the release show at the Ready Room on April 8. When Anderson gives a tour of the Gaslight complex, he initially skips over the property's curb appeal — the low-lit bar and the adjacent outpost of taco purveyor Cha Cha Chow — to show a raw, unfinished workshop space hidden behind them. This area serves as a fabrication shop for Anderson's other gig as a general contractor. He calls it the "moneymaker," a relative cash cow that lessens the overhead for the studio endeavors. 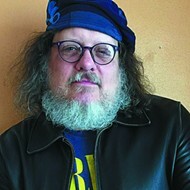 And while Anderson has no musical background himself, he feels uniquely suited to take on this project. "We had the advantage of being a contracting company — we did buy the building at a very good price, and we put sweat equity into it," he says. "Not only did we own the tools and had a lot of the material, but we have the skill set to do virtually all of the components of building out the building in-house." Anderson's foray into becoming a bar, studio and label owner came through a piece of personal tragedy. "The real stimulus that made this happen was the fact that my parents passed away," says Anderson. After both of his parents died in 2104, within five months of each other, Anderson and his brothers were forced to take stock and consider options that made sense for both the head and the heart. "At that point, there was a little bit of an inheritance, and me and my brothers met because I had found the building," he continues. "Coming from real estate and construction, whatever goes on in here, we always have a really solid investment in the brick and mortar." Anderson also made sure to invest in good engineers to get his studio off the ground. 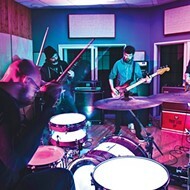 Both Zagk Gibbons and Mark Cange work in the space, and though they come from different backgrounds — Gibbons through live sound and DIY aesthetics, and Cange through more professional studio work — they've found a workable balance that's helped Gaslight forge relationships with bands around town. "That's the advantage of being in St. Louis — it's a small town," says Anderson. "Finding talent in St. Louis doesn't take long. A lot of it was driven by Zagk; he had worked with a lot of the acts we are working with on this first collective release." Cara Wegener, who leads the Americana-colored Cara Louise Band, echoes Anderson's claim. "The attraction was Zagk — he just makes a really comfortable environment when you're working. As a producer, he has a lot of good ideas," she says. This weekend's release show will be, perhaps, the first of its kind – a five-band bill composed of acts that are each debuting their own individual albums. That's a change from the usual record-release ego-stroke, but it underlines Anderson's vision of synergy and diversity, given that each of the five bands reps a different, distinct genre. "I'll be honest, I was not 100 percent on board when the idea was first pitched to us," says Wegener of the co-billed show. "You do want that headlining spot — you want the night to be about you and your band." But her thinking gradually shifted to the nascent label's big-picture idea. "I think the point is to honor Gaslight and what they're doing for us as artists. We're excited to be a part of this community and show the world what we've been working on as a team," she says. Less than two weeks before the show, Anderson also cops to some trepidation about the endeavor. "I'm scared," he admits. "I can build houses, but to fill a room with three or four hundred people, that's a whole different game. That's why the collaborative is a nice approach, similar to my business here. If everyone just does their part, it's greater for all."